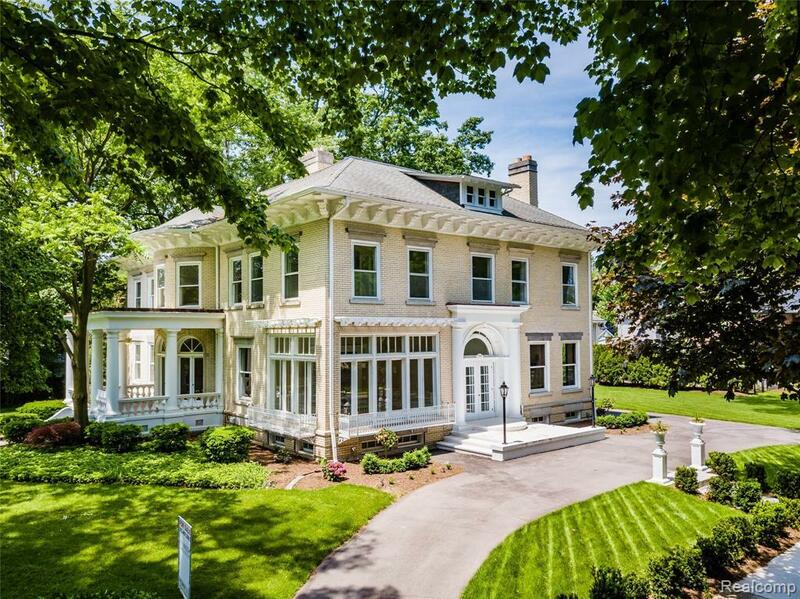 Built by famed Detroit Architect Louis Kamper, predating his design shift to Art Deco style, this home is a gorgeous example of his 19th century beginnings. The owner has just completed an impressive renovation of the home over the last 12 months in which restoration of the historic Georgian Colonial appeal was the focus. Aspects of modern renovation include an elaborate, custom, state of the art chefâs kitchen; new twin 5 ton high efficiency air conditioning units; second floor laundry, new circular drive and walkways, extensive electrical and plumbing updates, a new irrigation system and a renovated 3 bedroom 880 sqft Carriage House. The vast majority of the original plaster work, moldings, staircases, floors, hardware and tile work have been restored to their original grandeur. A mission of the project was preservation of the classic Corinthian style plaster crown moldings, corbels, pediments, columns and trim that complement the near 11 foot ceilings on the main floor.